Providing your team with comprehensive consulting and advising services that are focused on the $206 billion nutrition industry. Starting in 2003, Nutrition Business Advisors has grown and is currently working with over 17 companies to meet their unique goals. We provide companies with strategic consulting and advising services, capital raising, and full-service business development programs. NBA works with a variety of companies, whether a start-up or a veteran company, with their needs in the nutrition industry. Through the years, our Managing Director Thomas Aarts, and his partner Edward Hauck have been affiliated with major companies and philanthropy organization. Combined, our leaders hold seats on 5 boards and have been leaders of more than two of the top direct to consumer companies in the industry. NBA proudly works with the Nutrition Business Journal and Nutrition Capital Network. NBA takes pride in building its network of connections and relationships. Our team attends over 50 of the tops conferences in the industry across the globe. To ensure we obtain knowledge on the full spectrum of the nutrition industry we attend events anywhere from raw material/ ingredients, pet nutrition, personalized medicine, to healthy aging, health technologies, and the microbiome. Mr. Aarts is a high-level management consultant with 22 years of experience working with C-suite executives across the nutrition industry. His experience lies in management consulting, M&A transactions, capital raising and strategic market research.Tom has worked with many companies, including GNC, Metagenics, Garden of Life, Reserveage, Martek, Nestlé, Bayer, Herbalife, Nu Skin and Cargill. He serves on the board for Natreon, STYR Labs, The Rosskamp Institute, Inc., and the Board for Certification of Nutrition Specialists. From 1998 to 2001, he was a founding partner of Health Business Partners, an investment banking and consulting firm serving the natural products industry. In 2002, Tom worked with New Hope Network as they continued to help grow healthy markets in the industry. Tom then co-founded and served as Principal of Nutrition Capital Network (NCN). NCN is focused on connecting Nutrition/LOHAS companies with sources of growth capital and has assisted over 585 companies become exposed to capital sources. Edward Hauck has held senior leadership roles in the natural products industry for over twenty years. He is currently a Principal at Nutrition Capital Network and a business consultant. 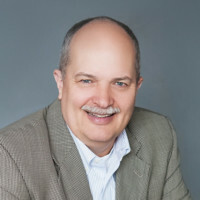 Over his career, Ed has been a senior executive at multiple industry-leading organizations, including President of Healthy Directions, Chief Executive Officer of ProThera/Complementary Prescriptions, Chief Operating Officer at Stop Aging Now, and Executive Vice President at Great HealthWorks. Edward has led the successful sale process for three companies in the Natural Health industry that generated above-market multiples. He was the Co-Founder and Managing Director of a business incubator for Internet companies, Vector Development. Edward has an MBA from the JL Kellogg School of Management, Northwestern University and BA in Business and Economics from Wittenberg University. Nutrition Business Journal is the go-to source for reporting, product trends and in-depth data and analysis in the nutrition industry. CMOs, start-ups and industry leaders are use NBJ to power their business. NBA works with New Hope Network (NHN) in collaboration with NBJ CEO Summit every year at the Terranea in Rancho Palos Verdes. NBA works collaboratively with Nutrition Capital Network (NCN) to help companies with corporate financial partnering and future innovation opportunities.